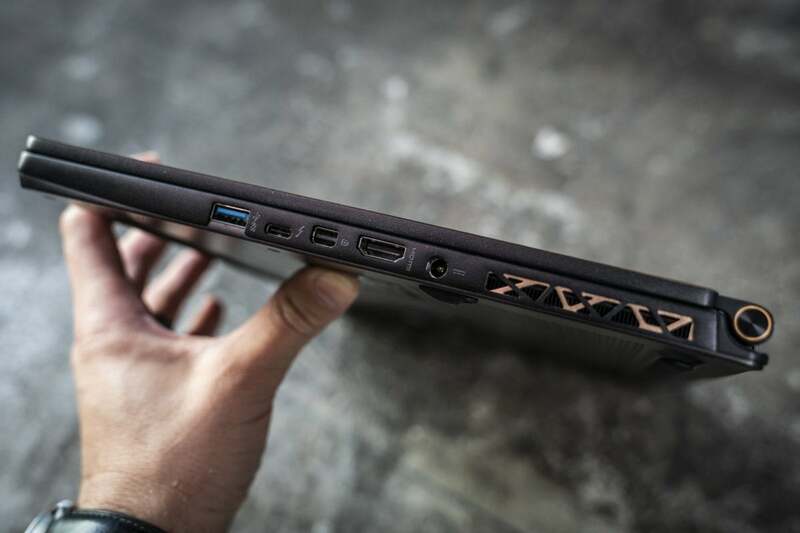 The GS65 Stealth Thin features a 6-core Core i7, VR-ready graphics yet still weights just 4 pounds. 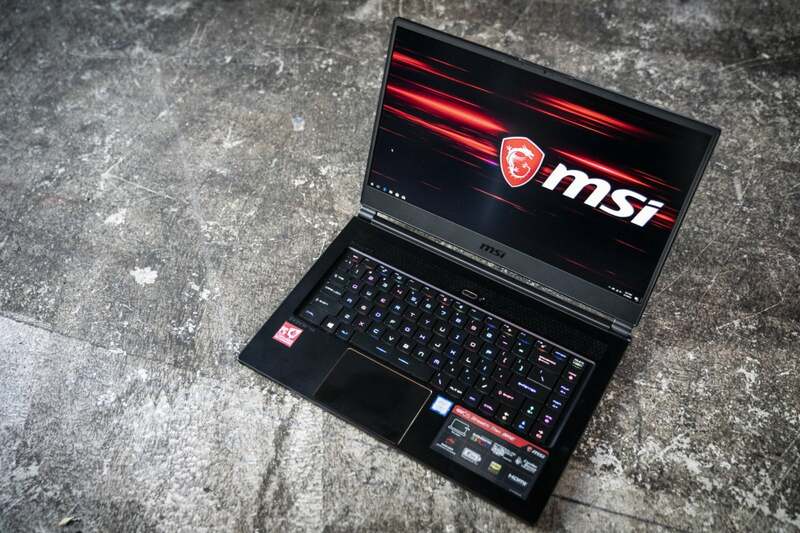 If you’re been looking for a gaming laptop to trick your corporate IT department into funding your PC gaming—MSI’s GS65 Stealth Thin 8RE may be just what the you’ve been looking for. 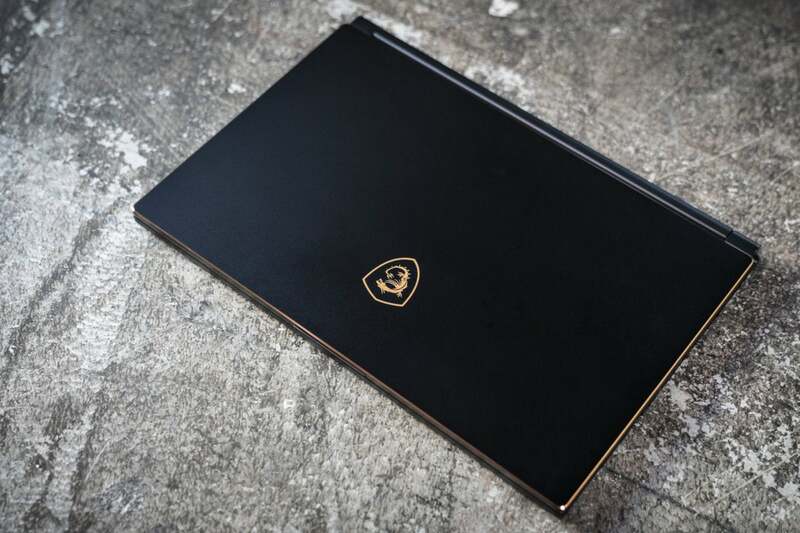 On the outside, it’s sedate black aluminum with bronze edges. On the inside are state-of-the-art, gaming-grade components with enough performance to basically put anything made before it to shame. Note: This review is part of our roundup of the best gaming laptops. Go there for details about competing products and how we tested them. The GS65 Stealth is designed to look at home in a corporate conference room. Only the Dragon logo might give away its gaming chops. 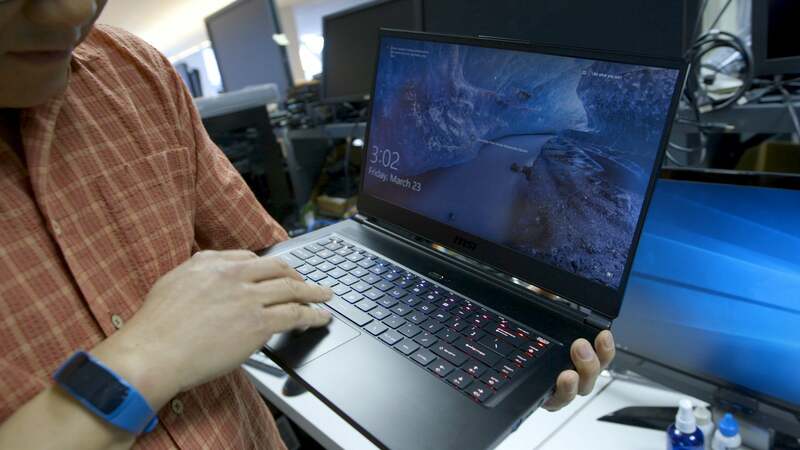 The GS65 is basically a complete rework of the ground-breaking GS63VR gaming laptop that made its debut in 2016. 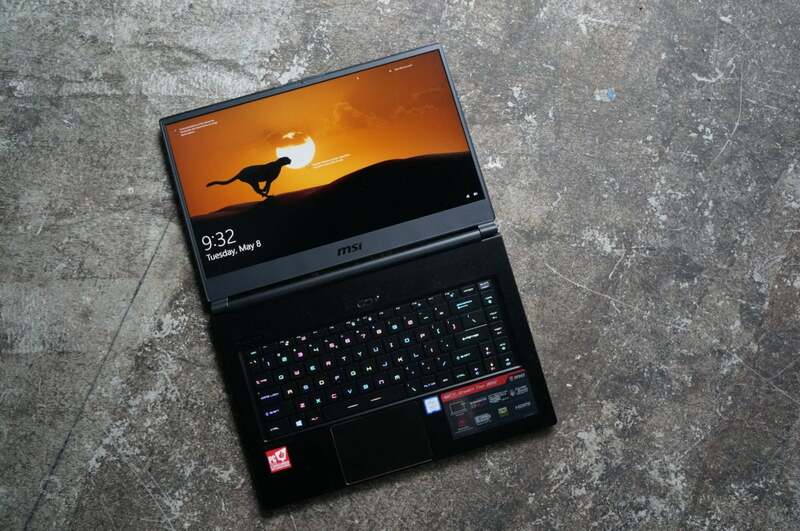 With the redesign, MSI said it wanted to make a laptop that could lurk in a conference room without making it look like your company splurged for a gaming laptop. The only outward signs would be the MSI logo on the lid. Open up the GS65, though, and the most immediate change can be seen: The screen. It’s a 15.6-inch panel, but MSI has gone to a near-zero bezel design on the top and sides. That shaves off about one inch in width over the GS63, making it about the same size as a Dell XPS 15. The GS65 is a little deeper, though, at just under 9.75 inches. The reason for the longer body is a hinge design that now allows the panel to fold back 180 degrees. The new MSI GS65 allows you to fold the screen 180 degrees. The SteelSeries-branded keyboard feels mostly unchanged from the GS63VR’s other than the elimination of the nearly useless 10-key pad. MSI also now includes per-key lighting and a black keyboard skirt. While a translucent base lets more light out, MSI said it wanted to make the MS65 live up to the “stealth” in its name, so light shines only through the keycaps. 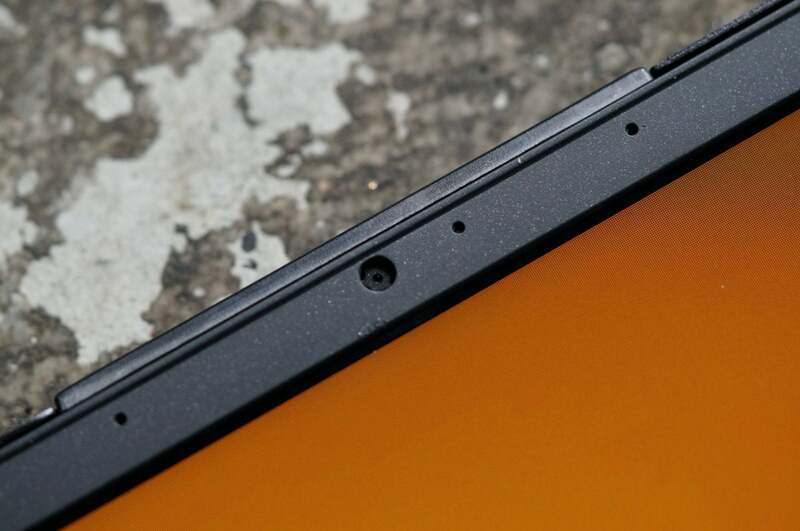 The piano-hinge-style trackpad is manufactured by Synaptics. We have no quibbles with its accuracy or palm rejection, but if you’re looking for a polished “glass” feel, this isn’t it. For ports you get three USB 3.1 5Gbps Type A ports, a full-size HDMI 2.0, miniDisplayPort and Thunderbolt 3. There’s also a Gigabit ethernet port using a Killer NIC controller, plus two analog audio ports. The audio subsystem is by Dynaudio and it’s adequately loud but also fairly thin. It’s clear to us that MSI didn’t sacrifice too much space for large speaker drivers or a subwoofer chamber of any consequence. It’s fair, but won’t impress anyone. The first two components on that list are the ones you should care about most. The GeForce GTX 1060 is nothing new, but the model in the GS65 is the full-tilt boogie version, not the lower-power (and lower-performance) Max-Q version. MSI does offer a GTX 1070 Max-Q version, but that comes with a larger power supply and higher cost. MSI squeezes in perhaps one of the tiniest web cams we’ve seen around. A 144Hz panel, but no G-sync? What confused us was the 144Hz refresh rate of the AU Optronics produced panel. 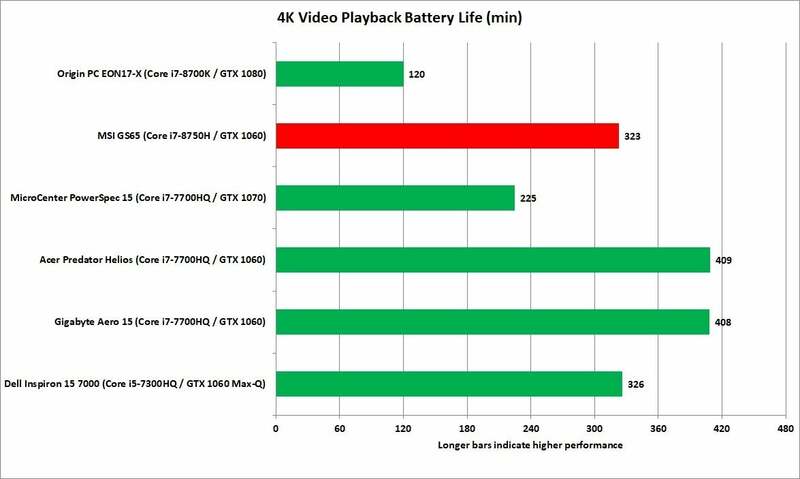 High-refresh-rate panels for gaming are usually associated with nVidia’s G-Sync or AMD’s FreeSync. In this case (despite early indications it might support G-Sync), we’re now told variable refresh rates won’t happen. That’s because for G-Sync to be enabled, the laptop’s monitor must be connected directly to the discrete GPU. That means the GPU must always be on, which kills battery life. MSI chose longevity and runs the display through the integrated Intel graphics. You still do awesome buttery-smooth windows and games at 144Hz, but when the GPU doesn’t have the power to run at that frame rate, you’ll likely get screen artifacts. The panel is also described as “IPS-like,” which means it’s not an actual Sharp-branded IPS panel. However, the off axis viewing and color accuracy are indeed IPS-like. The power brick on the GTX 1060 version puts out 200 watts and is also about 28 percent smaller than before. One of the major design changes MSI made with the GS65 over the GS63VR is the elimination of the 2.5-inch hard drive bay. The company did this to make it smaller and to cram in a larger 85-watt-hour battery (the GS63VR had a 65 watt-hour battery). For storage, MSI shoehorns in two M.2 slots. 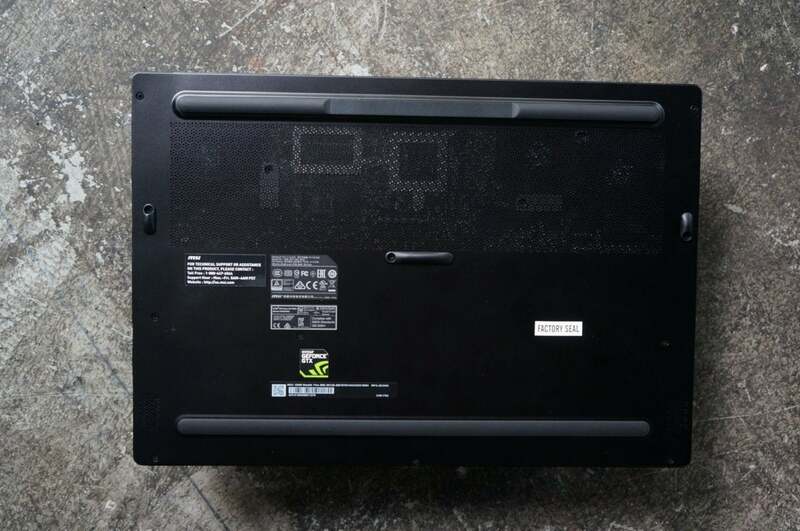 The company claims that it’s slightly easier to upgrade than the GS63VR but from the pictures we’ve seen, you don’t want to try because you still have to remove a good chunk of the laptop’s motherboard. We’d recommend that if you buy the GS65, go for the largest SSD you can afford. Images we’ve seen of the bottom of the GS65 tell us, you don’t want to mess around in there unless you’re an advanced user. One way to think of the GS65 is to just say wow! It’s six cores of CPU performance with a GTX 1060-class GPU and weighs just a shade over four pounds. At the same time, MSI must have taken that weight out somewhere, such as in body stiffness. Lift the GS65 up by a corner, and you’ll immediately be unnerved by the flex of the aluminum body under your fingers. 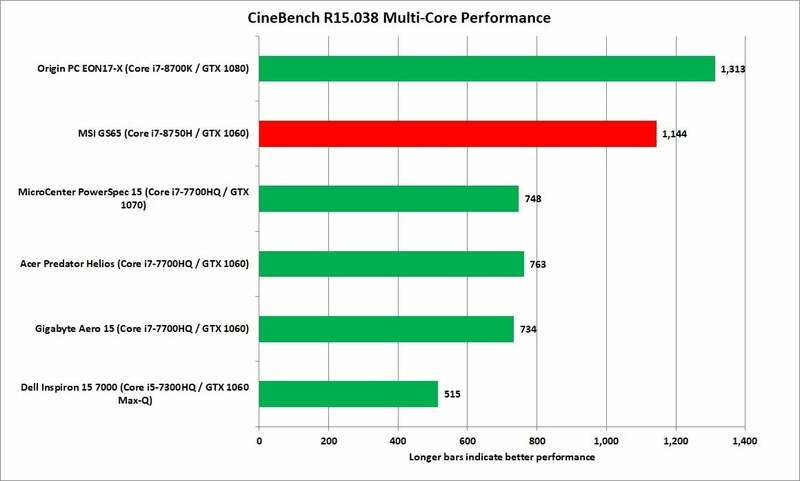 Our first performance test is Maxon’s Cinebench benchmark. It’s built off of the company’s real-world rendering program. 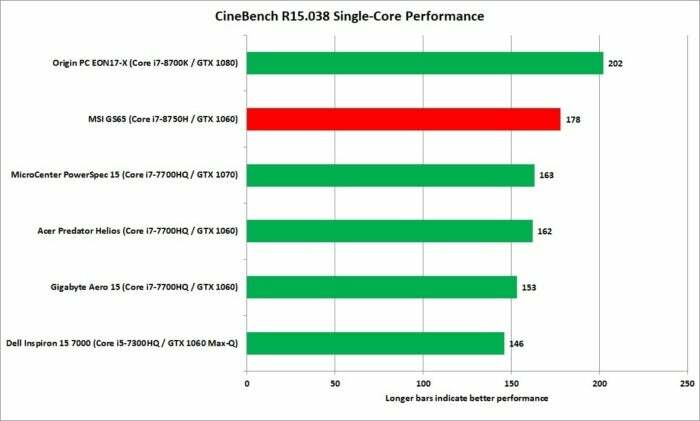 The benchmark loves CPU threads and no surprise, the Core i7-8750H inside the GS65 does not disappoint. In fact, the only laptop with a higher score that we’ve seen in the last 12 months uses a desktop six-core CPU. The GS65 it only outperformed by a much larger laptop with an overclocked 6-core desktop CPU inside. To get a feel for the performance of the GS65 on lighter loads, we also ran Cinebench using a single CPU thread. While this isn’t quite the same as Word or Photoshop, it’s probably more indicative of performance you’ll see in most single-threaded tasks. 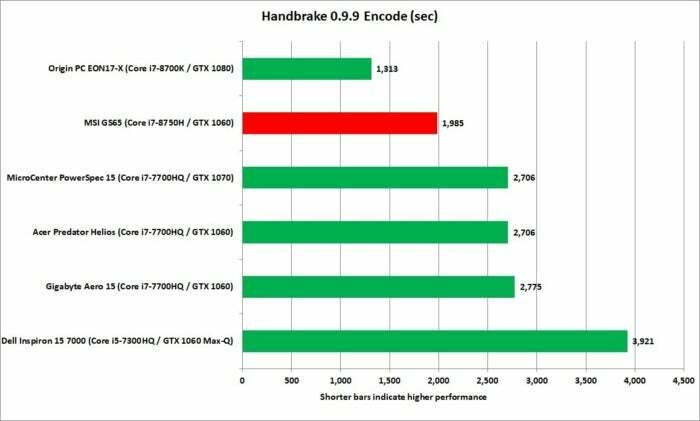 What we found with the 8th-gen Coffee Lake H Core i7 is that it tends to hold far higher clock speeds than the Core i7-7700HQ at all loads. You can see the result in Cinebench using a single thread, where the GS65 outperforms the Core i7-7700HQ units by about 9 percent. In single-threaded workloads, we’re finding the Core i7-8750H in the GS65 outpacing the Core i7-7700HQ by decent clip. One issue that we don’t usually see crop up with Cinebench is the consistency of performance—we don’t see the laptop plummet after it’s heated up. We do see that in our HandBrake test which uses the free and popular HandBrake encoder to convert a 30GB file using the Android Tablet preset. The test can take 45 minutes to run on a quad-core laptop and usually reveals any performance drop-offs. The MSI GS65 gives us excellent performance and outpaces the 4-core Core i7-7700HQ laptops by 30 percent. That isn’t as fast as the Origin EON17-X, but that laptop is huge and runs a desktop Core i7-8700K. If you encode video, having more CPU cores is worth the money. 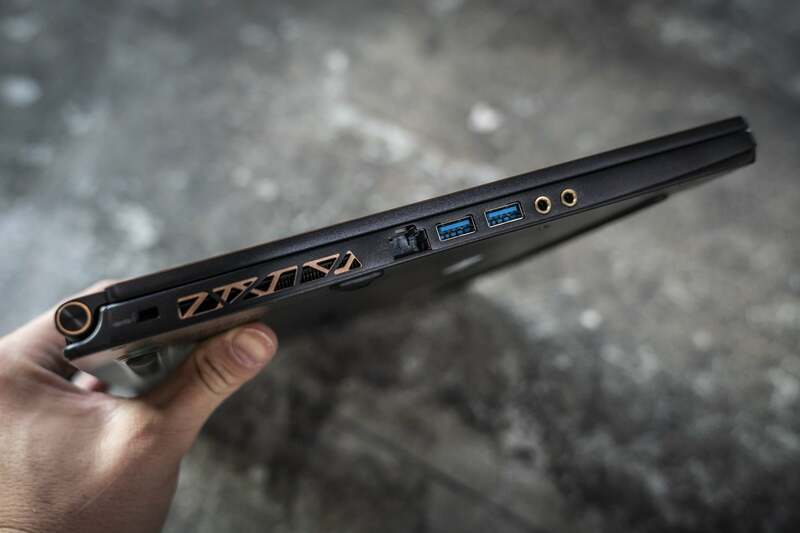 As a gaming laptop, we didn’t see any surprises from the MS65. Traditional gaming (without streaming) doesn’t benefit much from a faster CPU. 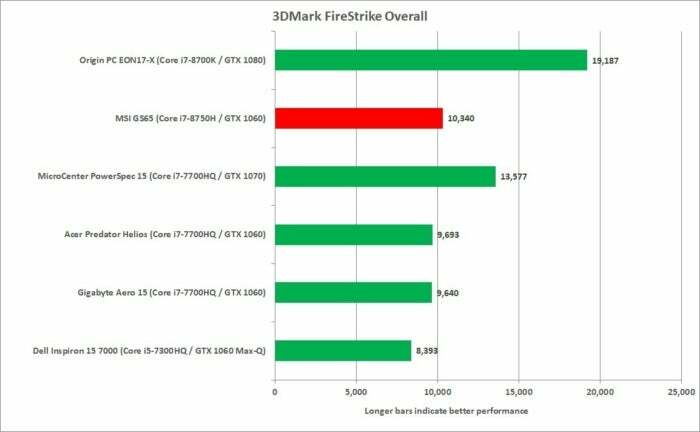 First up is UL’s 3DMark FireStrike test.This is a synthetic test but valid nonetheless as a general guideline. The overall score factors in CPU physics performance, so you get a little bump on the GS65. But for the most part, a GTX 1060 is just like all of the other GTX 1060 GPUs. No surprise: A GeForce GTX 1060 performs just where you’d expect it. 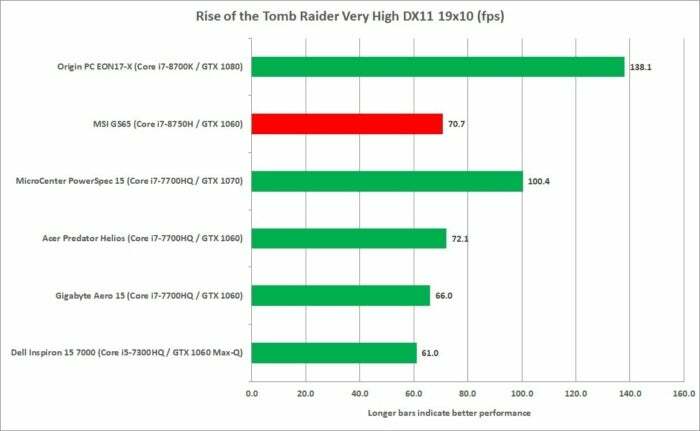 In Rise of the Tomb Raider we see pretty much the same pattern we saw in 3DMark and the performance in games. Note: We did run additional game tests, but the results were largely the same. A GTX 1060 is a GTX 1060. Yawn. Where’s Turing/Amphere/Volta? A GTX 1060 is a GTX 1060. Our final test is one of the most important for a laptop: Battery life. 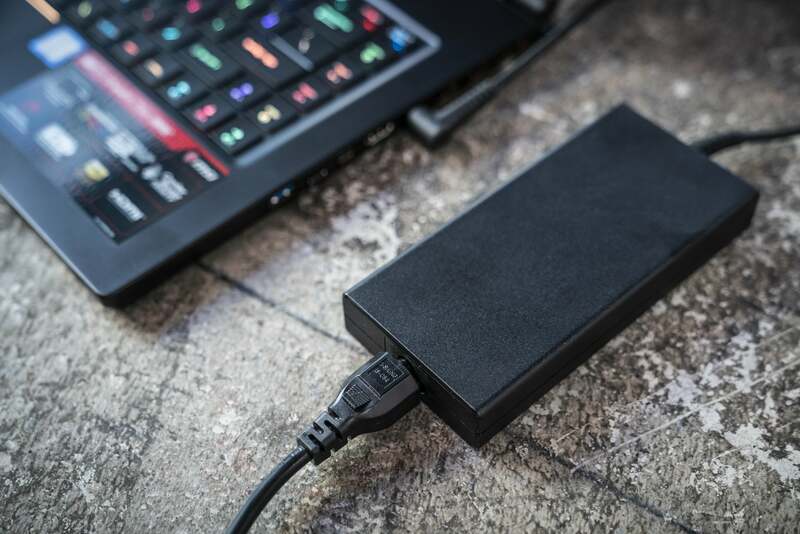 We loop a 4K video using Windows 10’s video player at 250 to 260 nits until the battery quits. We do this in Airplane mode with earbuds connected. The GS65 gave us about five hours of battery life, which is decent. MSI says you can expect about 8 hours, but that’ll depend on what you’re doing and how bright you set the screen. For our test, we had to run the GS65 at maximum brightness to meet our minimum of 250 nits, which likely lowered its runtime. While we have seen other laptops far better, they’re also larger and heavier. Battery life on the GS65 is very decent when you consider its battery is smaller than the Gigabyte Aero 15’s and it weighs a pound less. That you can get the same or better performance with the four-pound GS65 is a testament to just how far we’ve gone—and also proof of just how awesome this laptop is.